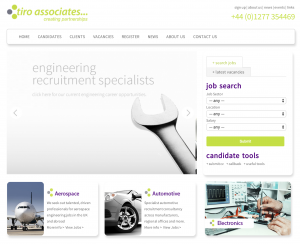 Tiro Associates Limited is a leading Engineering Recruitment Agency and Executive Search Consultancy, working with leading Automotive, Defence, Electronics, Engineering, Manufacturing, Rail and Renewable Energy companies. We operate on a national and international basis to provide the highest calibre permanent, interim and contract professionals for technical recruitment. Dedicated to quality and professionalism, we are a corporate member of the Recruitment & Employment Confederation (REC) and an ISO 9001 2008 registered firm.